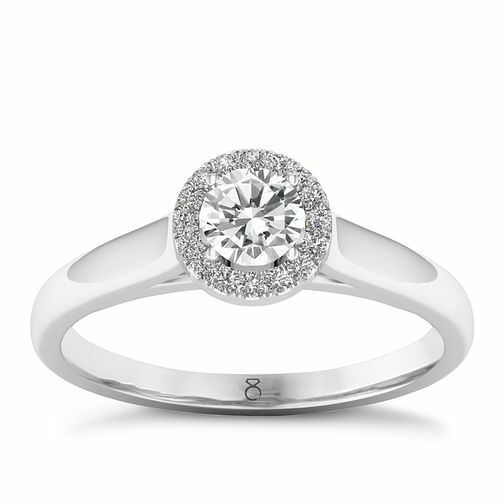 Featuring a brilliant round shaped diamond surrounded by a glittering halo of smaller diamonds, this beautiful polished 18ct White Gold ring is certain to be treasured for its beautiful shine with all of the diamonds totalling 0.33ct. 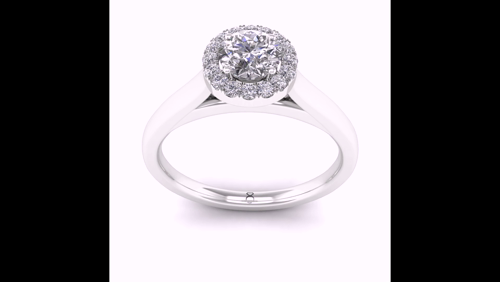 Celebrate your engagement with The Diamond Story. Certificated by GSI.